Tanika Ray's high-volume look is funky, but chic. What to do: 1. Spray leave-in conditioner on hair, which will help protect it from heat and other styling products. 2. Next, apply curl-defining lotion throughout hair. 3. Turn head upside down and blow dry hair on a low heat setting with a diffuser, or you can let it air-dry. 4. Once hair is dry, apply gel to your fingers and sculpt hair into shape. Lock the look with a medium-hold hairspray. 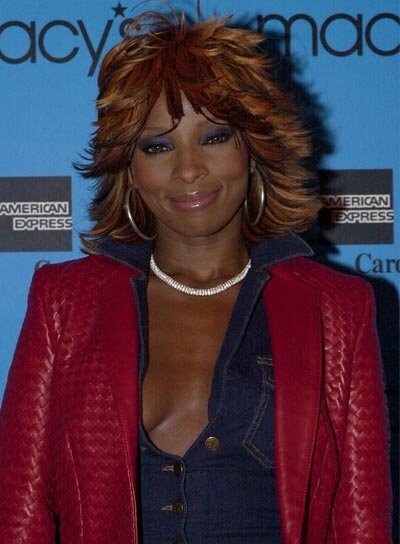 Mary J. Blige's shag is a good choice for layered, medium length hair. What to do: 1. Apply a straightening cream and blow dry hair with a round brush, flipping your ends out. 2. Follow up with a flat iron to further straighten and flip. 3. Apply styling wax to your ends to keep them from falling limp and to get that piece-y texture. 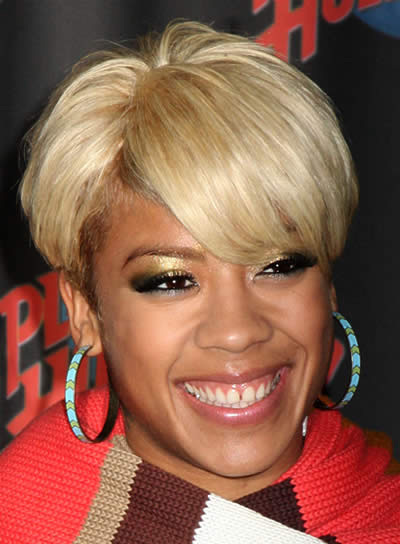 Keyshia Cole's funky pixie 'do is sweet and simple to style. 1. 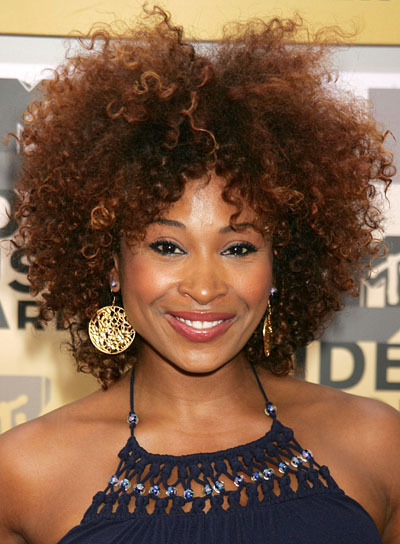 Apply a dollop of mousse to the length of your hair, scrunching it into the roots. 2. Using a vented brush, blow dry strands straight by lifting small sections and directing the hot air underneath, which will add volume at the roots. 3. For the front swoop, brush hair forward and against the scalp while drying.4. Finish the style by rubbing a few drops of a shine serum between palms, then smoothing over hair. 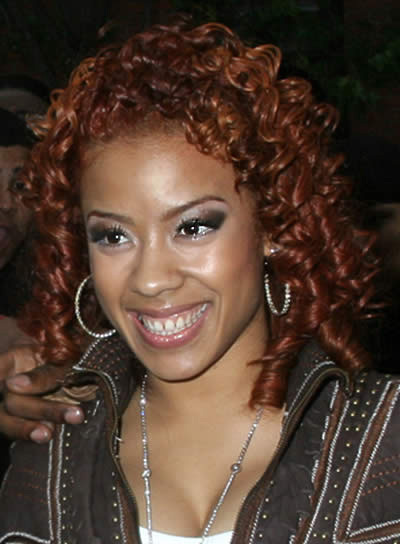 Keyshia Cole's red ringlets have a romantic feel that's perfect for date nights or proms. What to do: 1. To get the look, distribute a styling cream through damp hair, then blow dry. A rough dry is fine, as you'll be curling your hair too, just make sure it's completely dry before moving on. 2. Once hair is dry, wind half-inch sections around a thin-barreled curling iron from ends to roots. Hold the iron vertically while turning. 3. Hold the iron in place for a few seconds, then release the clamp while pulling the iron down and away from hair. 4. Allow the curls to cool, then spray with a medium-hold hairspray. Don't comb, don't brush -- don't even touch -- the curls or you'll ruin the ringlets.